July 8, 2018 /0 Comments/in For Educators /by Darko S.
We can all agree that most children love animals and find them to be lots of fun. Having a pet can enrich their young lives and provide them with a playmate they can enjoy whenever they like. Parents usually acquire pets for children to teach them some important values and lessons about responsibility, to love and care for other beings, and to help them develop companionship. As a matter of fact, households that have children are more likely to have pets, when compared to households without children. In the United States, in a survey that included families with young children, 76% were pet owners . Did you know: Even Freud was interested in children’s relationships with animals after seeing their fascination with them. He noted that animals appeared frequently in the dreams of children, and he interpreted the animals as representations of powerful adults, such as parents, who were too threatening for the child to show up in their dreams . But it’s not simply the ownership of a pet that is beneficial to children. What is crucial is their daily involvement in caring for and playing with a family pet, which can often vary as children become older and develop more substantial relationships with their peers. If a child is not especially fond of or interested in, let’s say, a pet fish they have at home, it’s hard to expect they will benefit from this kind of relationship in any way (such as cognitive, socio-emotional, or other). That’s why it’s important to recognize that attachment to pets may have a much more beneficial effect on the development of children than mere ownership . Some pets offer assistance, comfort, and protection, so children can sometimes view them as important as the people in their lives. Pets are especially valuable at those times when children have disrupted relationships with their parents or siblings (caused, for example, by divorce), when they can, in a way, assume the caregiver’s role. In this special kind of relationship, pets have the potential to promote healthy development of children in many different ways, which we’ll discuss next. – Motivation for learning. Some authors believe pets can even stimulate children’s cognitive growth through curiosity and learning. They are powerful motivators for learning because the children are emotionally connected to them . For example, kids are more interested to learn about animal nutrition and health if that would mean knowing more about and understanding their own pet better. – Language. Pets may facilitate language learning in children because they serve as recipients of children’s babble, or their praise, encouragement, and punishment . Also, pets are frequently the subject of children’s conversations with peers or parents, which can stimulate the development of their vocabulary as they try to come up with words to describe what the pet is doing . – Moral code. There’s also the argument that attachment to pets can help develop and foster children’s moral development, as they begin to reason what is morally “right” or “wrong” with respect to animals and their feelings and rights. In other words, they start to think about complex concepts such as justice, fairness, etc. .
– Responsibility. Pets are usually a lot of work, so parents should make sure that they don’t assume the bulk of the responsibility themselves, but rather give the children the responsibility of daily care. This teaches important lessons and can help them learn to manage their other commitments (e.g. finishing school tasks or household chores) in order to have time to take care of their pet. It boosts their accountability and leads them to feel more competent, as they learn that they are able to take care of another living creature without the help of the parent. – Social competence. Pets are great catalysts for making new friends. Walking a dog in the park and meeting other children with pets, or showing their classmates their new pet turtle, can lead to making new friends or enhancing existing relationships. Psychologists believe that bonding with a pet “encourages healthy social development in terms of social competence, social networks, social interactions, social communication, empathy, and social play behavior, leading to higher age-adjusted developmental scores” . – Self-esteem. Children’s self-esteem tends to fluctuate, especially as they reach adolescence. Having a pet companion in this period of great turbulence can mean having an emotional and nonjudgmental support in whom they can confide, and who can make them feel less lonely and socially isolated. 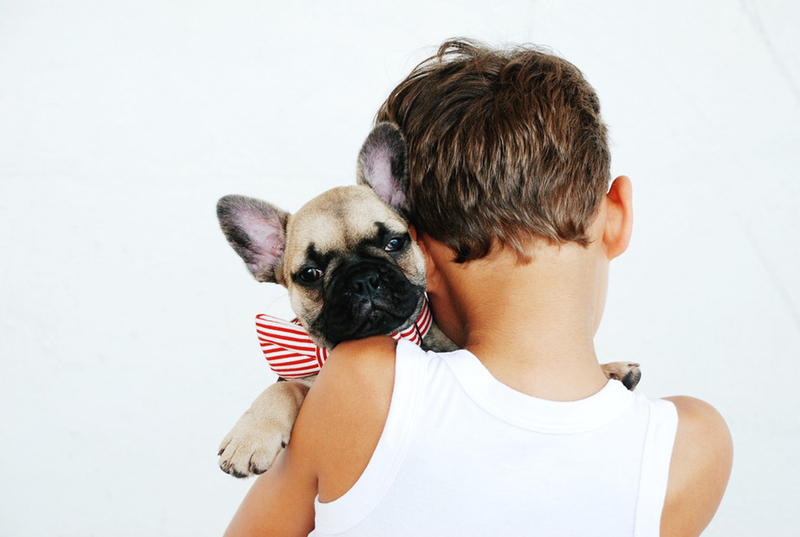 Research has shown that children who grew up with pets had higher levels of self-esteem and became more socially competent as adults than children who didn’t have a companion pet in their childhood . – Empathy and experience of loss. Children are usually the ones that are being taken care of by adults. Having a pet makes them a caretaker themselves. Feeding, grooming, and taking their pet for walks teaches them to recognize the importance of tending to the needs and desires of others. This can improve their self-awareness because children are able to better understand why they feel a certain way (e.g. they can realize that they, too, are pretty nervous and irritated when they haven’t eaten in a while). This way, they develop sensitivity for the feelings of others and non-verbal cues and learn about empathy first hand. What can be an especially valuable experience to young children is having to cope with their pet getting lost or dying. Experiencing the loss of a pet can help them cope with this kind of stress in the future as adults. – Anything that can ensure children are not glued to the television set, computer, or their phones is welcome nowadays. Some research has indicated that children who own a dog are generally more physically active and are at lower risk of being overweight or obese than children who don’t own a pet. In other words, having a dog can facilitate active play and contribute to children being more physically active (e.g. talking the dog for a walk) . – Choosing the right pet for your children is very important. As we have already established, it’s not ownership of a pet that matters, it’s the attachment and connection we make to a pet that brings us the benefits of such a relationship. The most obvious choice is to get a dog or a cat, but there are other options to choose from. You should talk to your children and see what kind of animals they especially like, because that would raise the probability of their connecting to the pet and not getting bored with them after a few months. – Some children, usually very young ones, aren’t mature enough to control their aggressive impulses, so you should monitor their play from time to time to check whether they are behaving appropriately towards pets. – Young children will also need some growing up to do in order to take care of a large animal, such as a cat or a dog completely on their own. You should, of course, serve as a role model and show them how to properly do all the necessary things regarding taking care of a pet. Whether you already have a pet, or you intend to get one, make sure your children treat them the right way and that they have a loving relationship, so that they can reap all the benefits we discussed. Melson, G. F., & Fine, A. H. (2015). Animals in the lives of children. In Handbook on Animal-Assisted Therapy (Fourth Edition) (pp. 179-194). Hawkins, R. D., & Williams, J. M. (2017). Childhood attachment to pets: associations between pet attachment, attitudes to animals, compassion, and humane behavior. International Journal of Environmental Research and Public Health, 14(5), 490. Melson, G. F. (2003). Child development and the human-companion animal bond. American Behavioral Scientist, 47(1), 31-39. Martin, K. E., Wood, L., Christian, H., & Trapp, G. S. (2015). Not just “A Walking the Dog”: Dog walking and pet play and their association with recommended physical activity among adolescents. American Journal of Health Promotion, 29(6), 353-356. If you need any kind of advice related to the children and pets, you’ve come to the right place!